Conceptours introduces the NEW Walking Meze tour of Athens. Want a walking tour and a cooking lesson? Now you can do both. For the foodie that wants it all! The tour starts with a relaxed walk encompassing all the must-sees of the city. You will view the city’s main highlights, discover spots off the beaten track and master traditional Greek nibbles (meze). After you have got a taste of what Athens is like, and built up a healthy appetite, it is time to taste some authentic Greek food - prepared by you! We will retreat to a private and comfortable setting in the centre of Athens. Our food-wise guide will talk you through the basics of Greek cuisine and assist you with preparing some typical Greek meze recipes. The perfect way to gain hands-on experience of this elaborate and healthy cuisine! 2 hour private walking tour. Fun and knowledgeable food guide. Preparation of 3 traditional meze plates. Enjoy a 2-hour walking tour of the city’s main highlights. 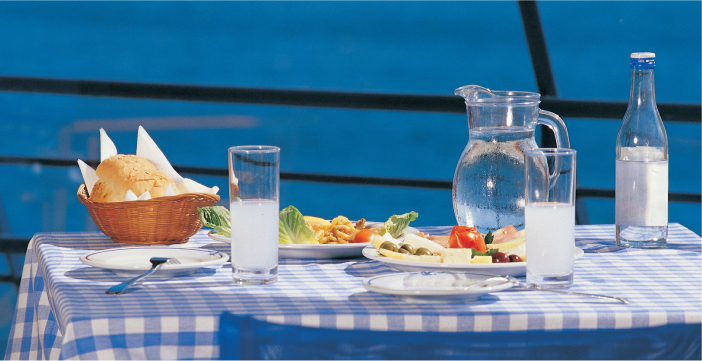 Learn about the Greek cuisine. Savour a variety of delicious meze. Fun and knowledgeable English-speaking food-specialist. Private and possible to customise on the way.